As our company name suggests, fibre optic lights have always played a large part in our product range. At Fibre Optic FX Ltd, the vast majority of our fibre optic lighting products are PMMA acrylic fibre based, although we also offer a range of glass alternatives which include cracked glass side-emitting cable. Fibre optic lights provide a highly specialised form of lighting that is suitable for a diverse range of applications, which are both practical and decorative in nature. 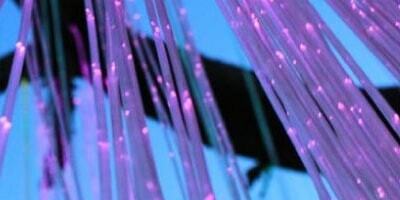 Our optic fibre and LED lighting solutions are particularly well suited in situations where heat, electricity, ultraviolet rays and energy efficiency are of paramount concern. As well as providing a full range of fibre optic lighting solutions, ranging from fibre optic curtain lights and a choice of products suitable for waterproof lighting projects such as fibre optic spa and sauna lights, and fibre optic lights for steam room and swimming pool applications, we also offer a range of sensory lights. Our fibre optic sensory lights are useful for interactive light display installations, particularly in art galleries and museums where audience participation can elevate the experience. A full range of accessories to complement our fibre optic lights is also available including end fittings, garden fittings, stair nosings, cloths and carpets. We even offer a fibre optic kit to turn your ceiling into a night star scene. Our fibre optic star ceiling kit contains end emitting cables which twinkle and change colour, depending on the version you choose. Fibre optic lights contain no heat or electricity, making them totally safe and suitable for use in water, ice and extreme weather conditions. Fibre optic lights can also provide the only true maintenance free form of lighting as the only serviceable part is the Light Engine which can be situated remotely, at a suitable distance from the actual installation itself. This makes fibre optic lighting the ideal choice for high ceilings, tall buildings and behind sealed objects.